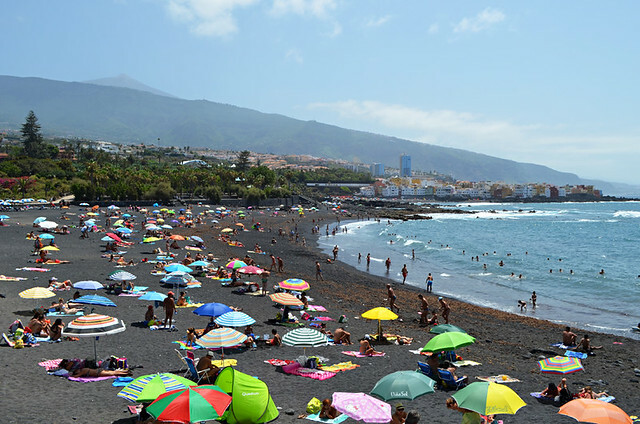 Think summer is sizzling hot on Tenerife? Think again, it’s mostly just hot. I’ve redefined my understanding of what a sizzling summer actually means over the last couple of years. 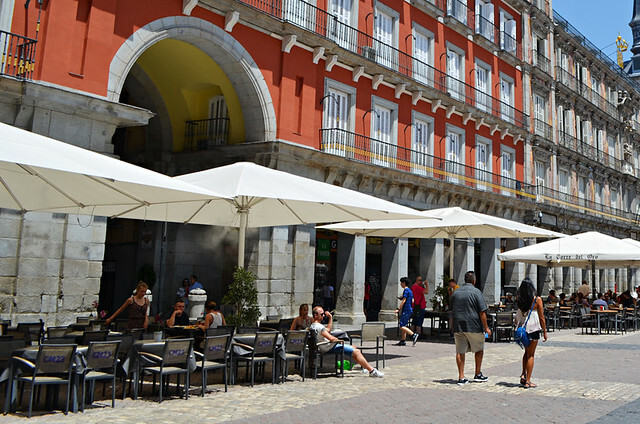 Madrid last July was oppressively hot, as hot as we’ve experienced just about anywhere, except maybe stopovers in Dubai/Bahrain. It was so hot they had sprinklers inside the umbrellas on restaurant’s open-air terraces. Even after dark there was no relief from the sweltering heat. This summer we’re in Portugal where we’ve already experienced 40C degrees and now we talk of 31C as it ‘cooling down a bit’. It has rarely dropped below 36C. 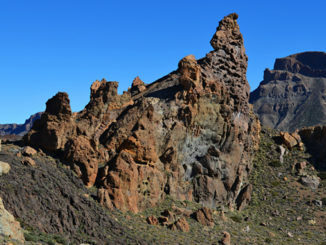 In the Canaries 34C has the Spanish Met Office raising an alert for unusually hot weather. Over the last two summers we have really come to understand why Spanish mainlanders escape Iberia for the Canary Islands. 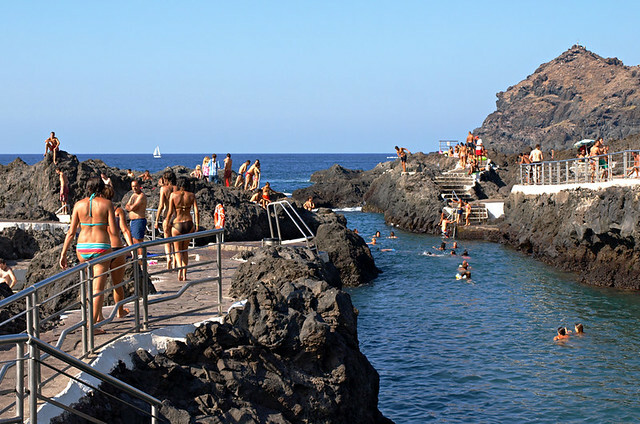 There’s a reason the Canaries are referred to as having the perfect climate. It’s not because they’re so hot, it’s partly because they’re not. People where we are at the moment head inside to escape the summer heat, in the Canaries everything takes place out of doors. Beaches have a completely different personality in summer months than in winter. It’s easy to spot. Rows upon rows of colourful umbrellas line the sand closest to the water’s edge. Black sand especially retains the heat so whilst temperatures may not be oppressively hot, your tootsies will be fried if you walk any distance on black sand in summer. 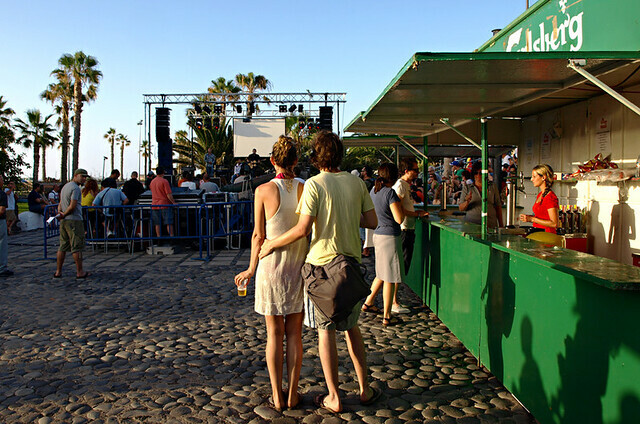 Summer months are full of open air concerts and music festivals on Tenerife. These range from Jazz and Blues to Indie and Reggeaton. Just writing this made me realise I have actually reached the point where I am not amazed when open air festivals are sunny and not muddy, cold and wet affairs (Glastonbury and Tatton Park I’m thinking of you both here). 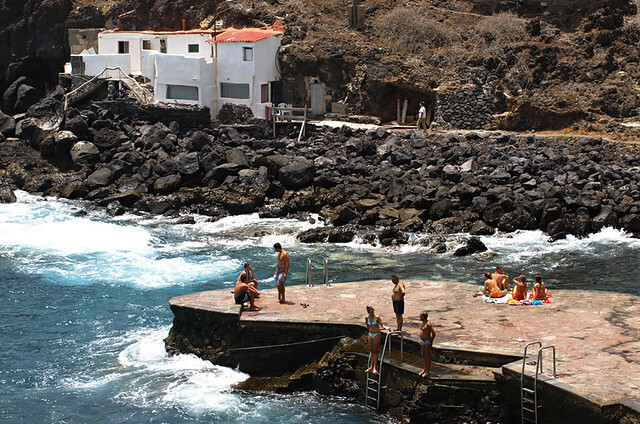 Visit Tenerife’s natural swimming pools in winter months and you’ll have them all to yourself. 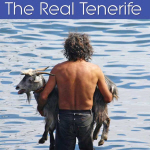 I saw a northern European couple swim in a lovely natural pool in El Golfo on El Hierro in February, watched over by amused locals looking as though they were observing the strange habits of some unusual creature. In summer months you’ll need rugby playing skills to get near a rock pool. Similarly, rocky coastlines which lie devoid of people most of the year suddenly become unbelievably popular during summer to the point they are rammed. Check out Punta de Hidalgo in July/August if you don’t believe me. Remember those tranquil, quiet coastal villages you passed through in winter? Maybe not as most of them are a wee bit off the beaten track and some are difficult to find even once you know they exist. In summer months it’s as though somebody has dropped a people bomb on them. Many of these tiny coastal villages consist mainly of second homes which are only used in summer. 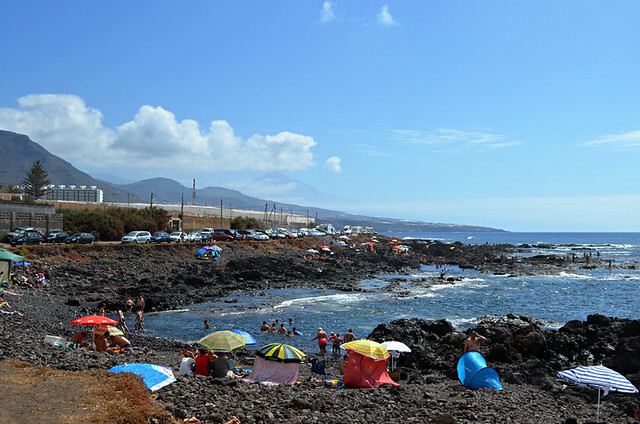 One of the weirdest traits I can’t get my head around isn’t so much that hundreds upon hundreds of motorhomes appear at strategic points around Tenerife, it’s where some campsites are located. 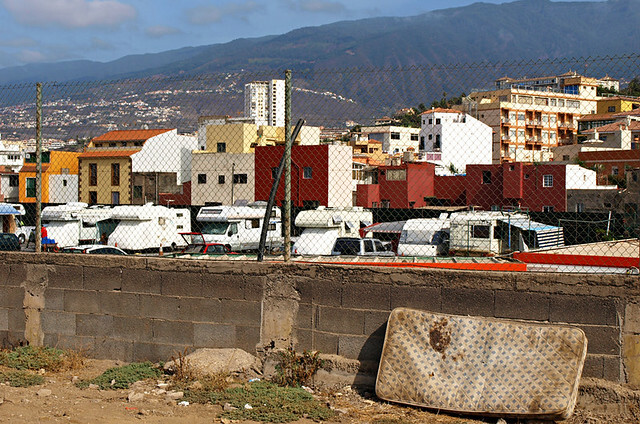 El Puertito is understandable but illegal, and other locations are just bizarre – such as a converted basketball court in Puerto de la Cruz which doubles as the town’s car pound. I just can’t understand why anyone would want to stay there. But during summer it’s party time within those walls. Whilst traditional fiestas usually involve some saint being bundled through the streets, onto a boat or both for religious purposes, they’re also great excuses for throwing a street party. 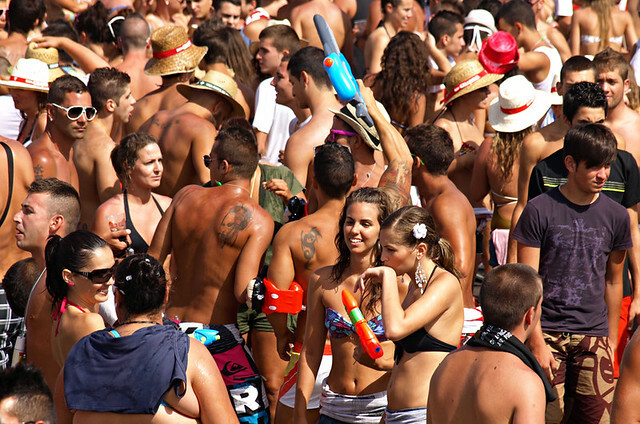 You get street parties in winter on Tenerife but not ones where revellers are in swimwear… apart from Carnival of course. 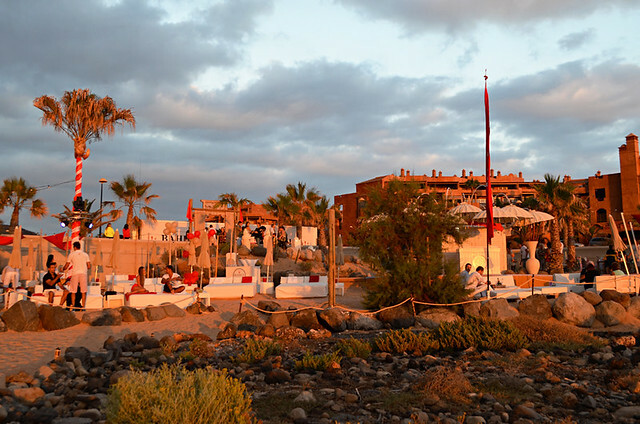 Beach bars really come into their own in summer months and Tenerife has plenty of cool, hot beach bars to choose from. Swimming complexes also take on a different personality in summer months when more locals take to the water. Coming from Scotland, sea water and unheated swimming pools have always felt ‘tepid’ at worst compared to the water where I grew up. But even the neshest of the nesh (non-northern English people might have to Google that) should be pleased to sink into unheated pools. 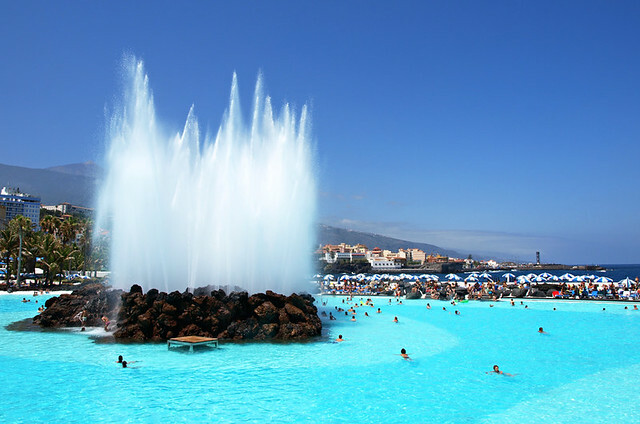 Saying that, the water in the big lagoon pool at Costa Martianez in Puerto de la Cruz feels more like it belongs in the Highlands. 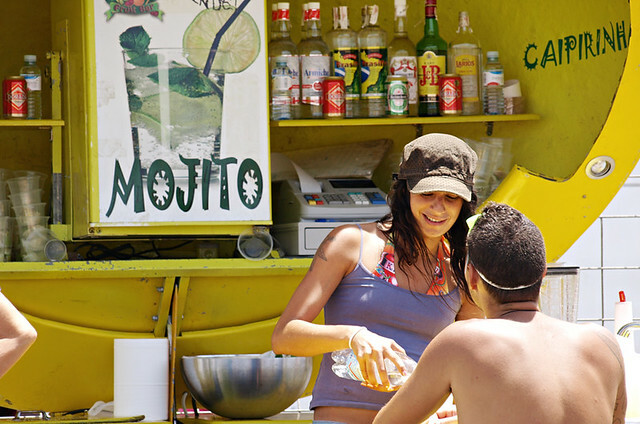 A cool, refreshing mojito on a balmy summer evening on Tenerife is just the business. It’s the summer cocktail of choice on the island. 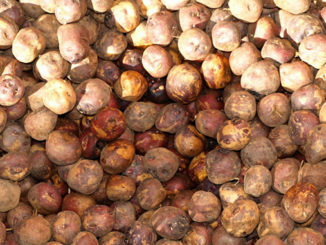 Actually it’s the winter cocktail of choice as well, but it tastes even better when sipped outside during sultry summer months.